Discover how United Bank doubled down on employee development and is empowering their team members through Everything DiSC. Or we’ll work with you to develop and deliver a program to meet your needs. Certifications and Train-the-Trainer programs are also available. Explore the Everything DiSC® Suite of Products below, then Contact Us to determine which products best meet your needs. Workplace conflict is inevitable, natural and necessary. Everything DiSC® Productive Conflict helps employees develop self-awareness around destructive behaviors commonly used in conflict; manage these behaviors; and engage in more productive strategies – leading to improved results and relationships. 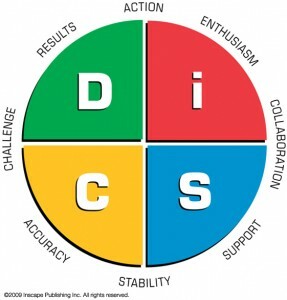 Use Everything DiSC Productive Conflict across the organization to turn disruptive disagreements into optimal outcomes. 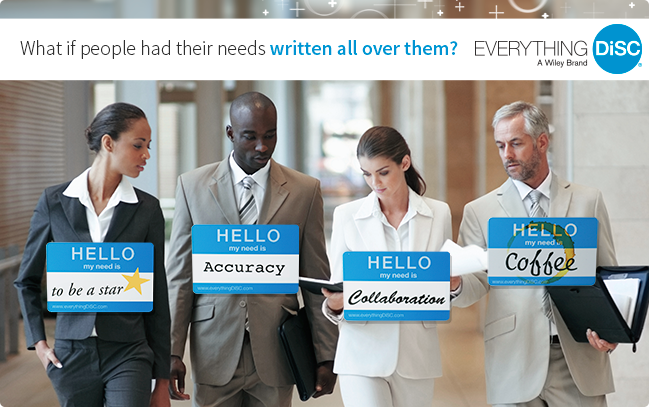 Everything DiSC® Management teaches managers how to bring out the best in each employee. It helps managers increase their effectiveness in the areas of delegating, developing and motivating. Managers will also gain insights into their management approach and how to more effectively work with their own manager. 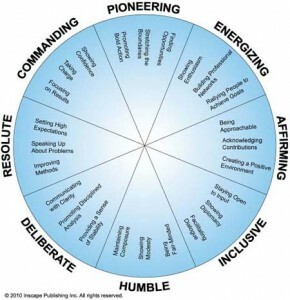 Using the framework of Vision, Alignment, and Execution, Work of Leaders explores 18 leadership best practices and shows participants where they fall on the continuum. The program encourages leaders to reflect and engage in dialogue to better understand their own leadership behaviors and how these behaviors impact their effectiveness. Work of Leaders helps leaders take action with personalized tips and strategies that give clear direction and are easy to apply. Everything DiSC® profiles include ongoing access to MyEverythingDiSC.com, a mobile-friendly, interactive website exclusive to Everything DiSC. 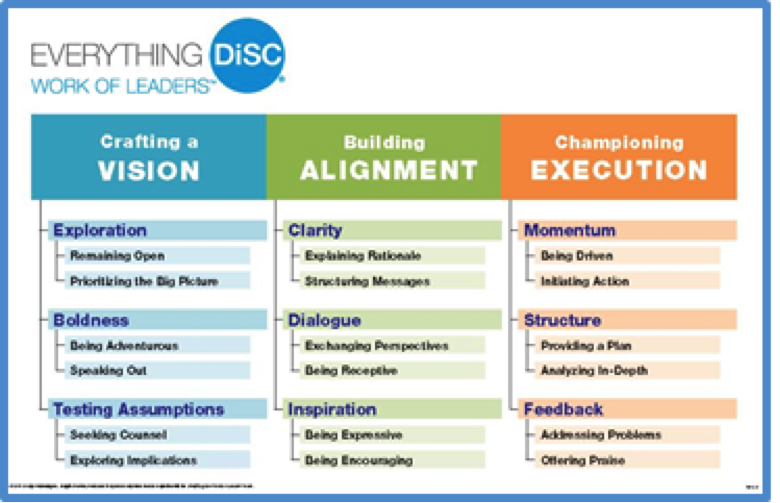 This follow-up site provides on-demand insight into DiSC styles as well as strategies for working with others and helps keep Everything DiSC® alive in your organization.